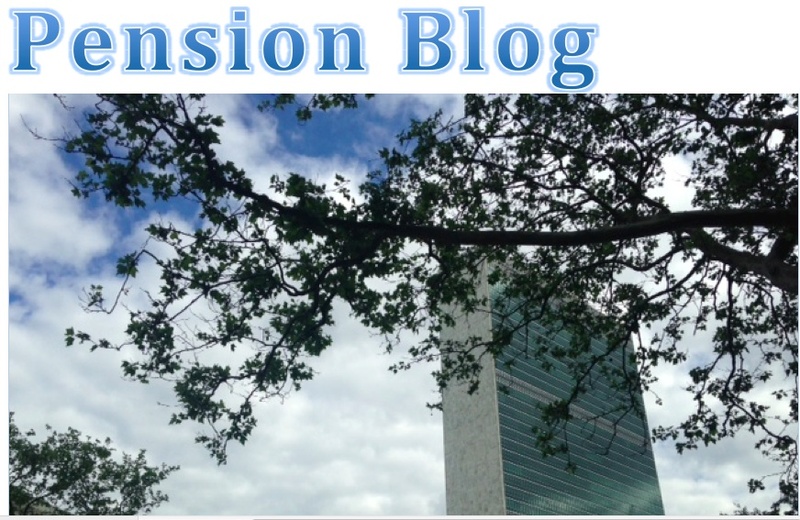 In “Skeptics Still Question the Status of the UN’s $54 Billion Pension Fund” (link below), Susan Manuel does a credible job exposing the problems roiling the Fund, but in the telling, assigns accountability nowhere and to no one. First, the title is somewhat curious: “Skeptics still question….”. Skepticism, as in “inclined to question or doubt all accepted opinions” can be a useful trait. However, “still” implies that in the face of irrefutable evidence, some of us persist in our stubborn refusal to accept truths in front of our noses. Rather, what the skeptics among us don’t accept is “received wisdom”, i.e., “knowledge or information that people generally believe is true, although in fact it is often false”. And we know that much of what’s proffered as truth about the Fund is false, because there’s copious evidence to the contrary. First, concerning OIOS having “dismissed fraud allegations”, Fund staff who made the allegations have never been interviewed by OIOS. There’s no evidence there was ever an investigation. The CEO’s spokesman declared publicly several weeks ago that OIOS reports were available on the Fund’s website. So far he hasn’t produced them and they’re nowhere to be found on the website. “Management restructuring” doesn’t describe what Fund staff and the UN staff union federations say amounts to competition between the leaders of the two sides of the Fund – CEO and RSG – to push through revised staff management and financial rules that increase their autonomy over all aspects of staff management, as well as procurement and outsourcing of investments, that exposes the Fund’s established system of checks to increased risks. “Software fiasco”: the Fund’s new software, which the CEO blames for extensive delays in payments of new retirees, some as long as a year, didn’t blow up unexpectedly as the term implies. Fund staff say that the CEO failed to heed advice that a technology safety net was needed in case the new system underperformed, which it did, causing much suffering among new retirees, and that he maintains large numbers of vacant posts that could be filled with staff to perform the needed tasks, while he spends liberally on high-level posts (including a new personal communications chief who accompanied him on a public relations tour before the annual pension board meeting in Vienna), and pushes for a task force to clear the backlog. Reliable finance experts offer credible information that Fund underperformance has much less to do with a “weak global economy", often cited by the Representative of the Secretary-General for Investments (RSG), than with investment skills and management practices. The long-serving chair of the Investment Committee, was, according to media sources, elbowed out by the RSG in 2015 and the position has since been filled by rotating chairs, weakening investment expertise on the board. As the author notes, “The monitoring committee [Pension Board Assets and Liabilities Monitoring Committee] was so alarmed at the number of vacant senior posts in the fund’s investment division earlier this year that they wrote to Ban twice, asking for his intervention and warning that the vacancies “pose a grave operational risk” that threatened pensions.” The term “loud danger signal” was also used by the Committee concerning operations taking place outside the established system of checks and balances. “Some staff union representatives”: not a random fringe group of UN staff representatives as the term implies; but CCISUA, the Coordinating Committee for International Staff Unions and Associations, authors of two petitions in the past two years that garnered some 25,000 signatures from Fund participants and beneficiaries, asking the Secretary-General to take steps to safeguard the health of the 67 year old Fund, which as widely acknowledged, was a bastion of stability prior to take-over by current management. The article makes no mention of the role of trust, more specifically the lack thereof, at the heart of many of the issues concerning the Fund, including management favoritism and retaliation, which Fund staff have cited on both sides of the Fund. A revised Memorandum of Understanding delegating authority on staff management and financial matters to the CEO was placed on hold by UN management in July 2015, ostensibly to allow time for staff/management consultations. A leaked memorandum from UN Human Resources to the CEO in May 2015 appeared to confer, reportedly without consultation, all the staff management authority the CEO ever wanted, and more. The RSG and CEO contradict themselves, and each other, about how much of the Fund is externally managed: CEO and RSG, ‘none’; RSG in Vienna, 14.7 per cent. Regarding Fund investment in arms and tobacco reported by a reliable source, the CEO’s spokesperson says it simply isn’t true. And numbers bandied about by the CEO concerning the status of the backlog are contradicted by statistics on the Fund’s website. AFICS/NY is mentioned only to note that the latter “are not buying all the current charges of mismanagement at the fund.” There’s no hint of the deeply held view by many retirees that AFICS/NY has not been transparent or accountable to its dues-paying members on the issues, including its unabashed support for the CEO’s every move, expressed most recently in its attempt to dissuade an OIOS audit into the backlog in payments to new retirees (leaked email dated 1 June 2016 from AFICS/NY to OIOS).